Clean, pleasant, friendly. Enjoyed my stay. 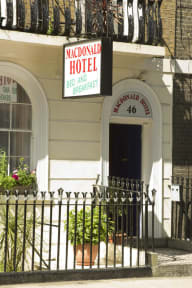 The MacDonald Hotel is in a great location: it is literally right next to King's Cross Station and only a short walking distance away from the British Museum and British Library. The facilities were basic, but I was very impressed by the cleanliness of the hotel. Good option for the capital. Affordably priced and breakfast was delicious. Single room offers an en suite. 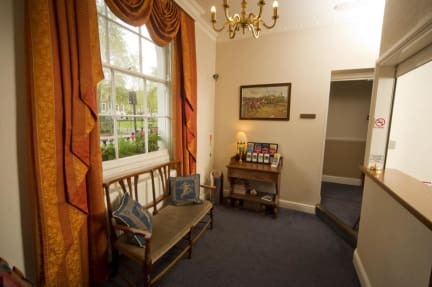 The location is a three minute walk from King's Cross/St Pancras tube and railway station. Staff were polite and welcoming. Stayed here one night to catch an early train. Nothing fancy, but convenient and got the job done. Great Location, clean, fine for one nights stay. Surprisingly quiet at night. Had a window which was great. Well worn, room could do with a refresh of decoration, minor fixing & deep clean or replacement of shower surround, thicker curtains. Place was fairly priced. Shower stayed hot, even though there were 4 of us showering each morning. It could have been a little cleaner and the place does need updating. Great location. great for a stop over to catch an early train due to the location, better than having to share a room in a hostel.